Said to have been from the Italian site of Pozzuoli. Bequeathed by Sir William Temple. 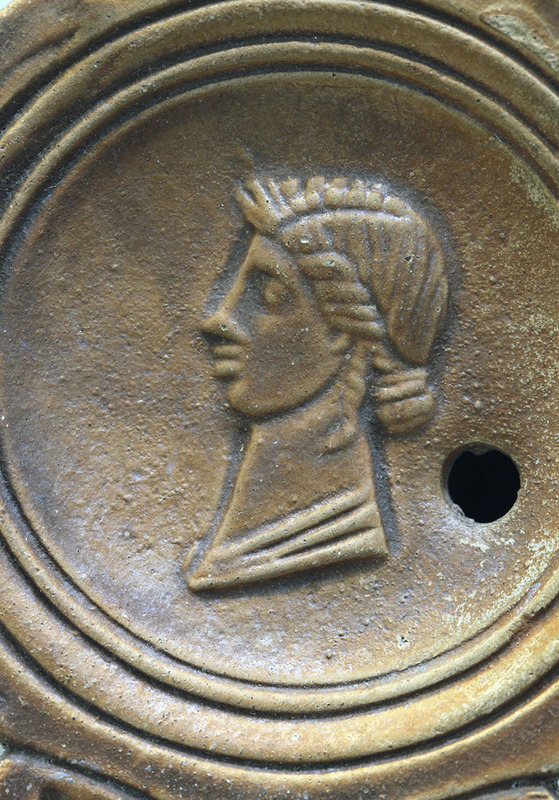 A simple image made from a mold to decorate a Roman lamp (note the hole for oil on the right). This may be a commemorative image of Liva, the wife of Rome’s first emperor Augustus. As it has been dated to ca. 40-80 CE, this would be a posthumous commemorative “souvenir” of sorts (Livia died in 29 CE).